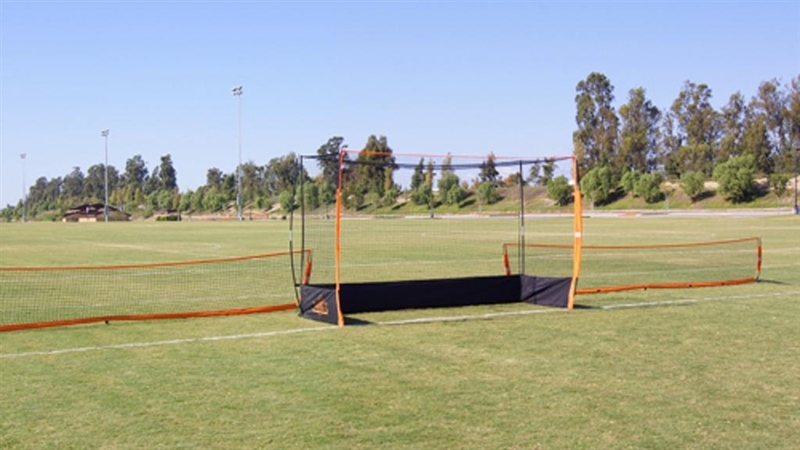 The Bownet 18' x 2'9" Low Barrier Portable Net is a one-of-a-kind new portable sports barrier net that works great for baseball or softball practice. Use a line of low barrier nets for easier ball retrieval during practice. It also works well for other sports such as tennis, lacrosse, and soccer. The key to the product design is the “bow” in the poles, which allows the poles to flex, and puts less stress on the net.